Bottle # 202 sold empty at ebay. 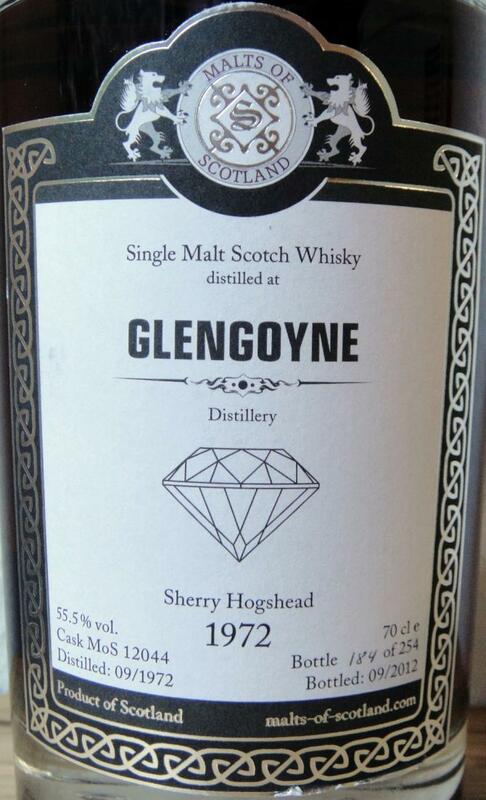 A big boy sherried whisky, but considering its status and price, I was a bit surprised that it is not more complex. Very, very good no doubt with superb balance, but I was hoping for old rancio or old books and did not find them in this one. A straightforward great sherry bomb. 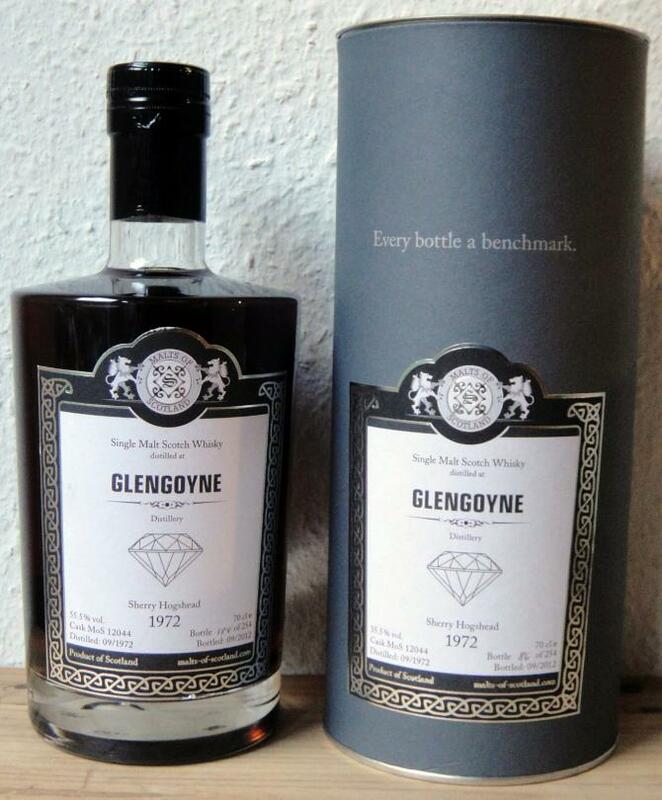 In 1-2016 this whisky was sold on whiskyauction for 1332€. 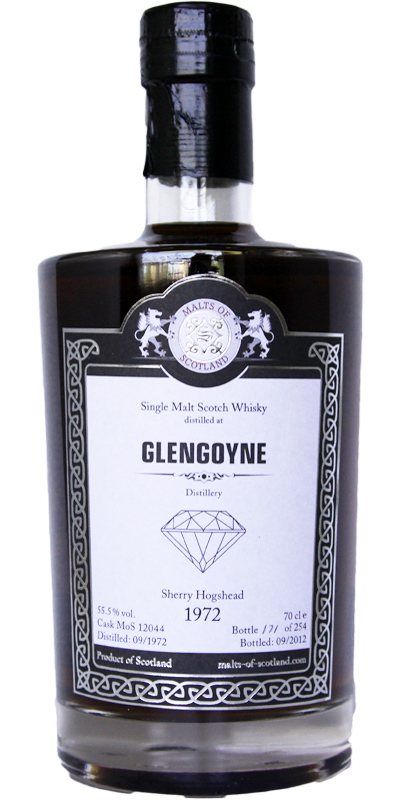 Incredible whisky - extremely high quality already recognizable in the nose. I could only smell for hours on the glass. In the mouth and the finish just outstanding. This is definitely the final phase Champions League! What a lovely sherry. Teak oil. Dried fruits. Cardamom. Leather. Chocolate. Very fruity. Dry. Teak oil. Dried fruits of course. More jammy now. Liquerice. Cloves. Sweet orange.